Use code 'roop500' for INR 500 off per person. Valid till September 30 only! Roopkund is a glacial lake nestled in the high mountains of the Uttarakhand Himalayas. Situated at an altitude of 16,500 feet, the Roopkund lake offers you a rare chance to see the ancient remains of human skeletons that surround it. It's also known as Skeleton Lake or Mystery Lake, because the history of these skeletons baffled experts for years. The region around is completely desolate and usually misty, adding to the element of mystery around. Roopkund is a glacial lake nestled in the high mountains of the Uttarakhand Himalayas. It is covered in snow for most of the year, and is completely uninhabited. At a height of 16,500 feet, trekking to Roopkund Lake is tough and takes long hours of trekking each day. At some points during the trek, you'll have ropes fixed along the climb, as well as seat harnesses and crampons, to ensure that you reach your destination in the best form. Pair this with the high altitude and the unpredictable weather, and you'll see why this Roopkund trek is a challenging one that is not recommended for first-timers. Permits up to INR 500. This 8 day Roopkund trek takes you to a glacial lake and is one of the most sought-after treks in India. If you love your mountain myths and mysteries, you'll be keen to see the eerie human remains that edge Roopkund lake, glowing in a ghostly manner in the always present mist. But apart from the skeleton watchmen, the Roopkund trek is a gorgeous mix of pristine lakes, lush green meadows, and beautiful pine and oak forests. The trek to Roopkund is considered a moderately challenging one, and requires a good amount of cardiovascular fitness. Trekking to Roopkund takes you to a height of about 16,000 feet, and it can get very cold at the lake. In the later sections of the Roopkund trek, the air gets thinner and you might find yourself walking slower. 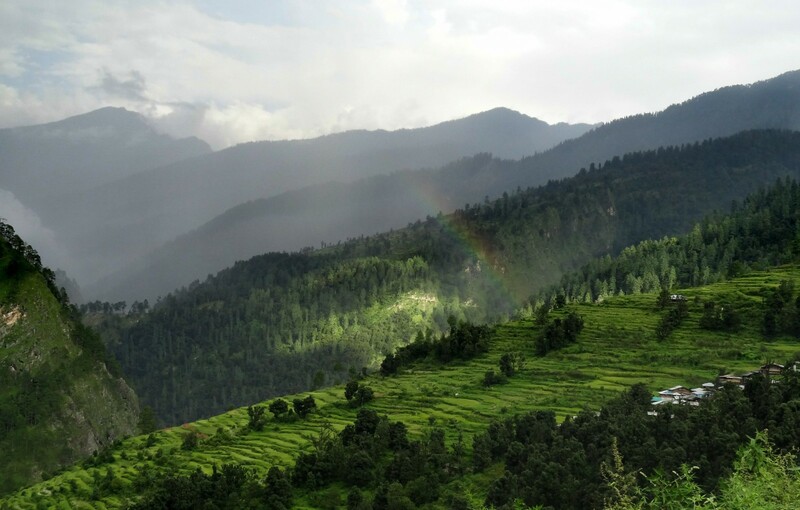 The Roopkund trek is a gorgeous trail that takes you over lush grasslands, through pine forests, and up into the desolate upper reaches of the Garhwal Himalayas. You'll be camping in some of the most beautiful meadows in this region, and will finally visit the legendary Roopkund lake. The lake is shrouded in mystery, with human skeletons scattrered around the edges of the lake. The skulls displayed evidence of blunt force trauma, leading to the discovery that they were the remains of a group of travellers who were killed by a violent hailstorm. 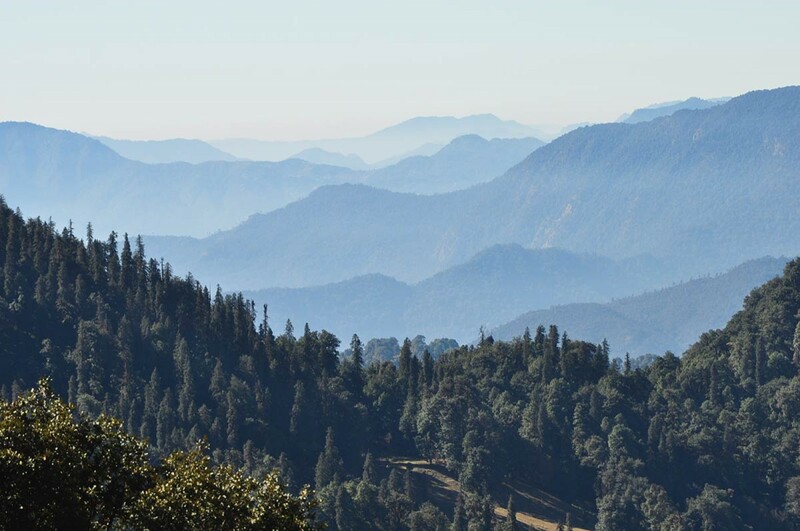 Along the Roopkund trek, you'll be seeing spectacular views of the peaks of Trishul, Nanda Ghanti, and more. This moderately challenging trek to Roopkund takes you to the thrilling (and chilling!) Roopkund Lake, and offers you a rare chance to see the human skeletons that surround it. The Roopkund trek requires a bit of muscle and stamina to get accustomed to the changing altitude and terrain and is ideal for fit trekkers. You’ll be walking over verdant green meadows, climbing to more barren heights as you get closer to giant Himalayan peaks, and there’s usually a good chance of snow at the Roopkund lake itself. A popular trekking destination, the trek to Roopkund is a beautiful trail that encompasses some of nature’s finest creations. Right from traversing rolling acres of open meadows to soft grasslands, and walking through forests of cedar and oak, each landscape is more beautiful than the last. But there is more to the Roopkund trek than just a pretty adventure. Known for its dazzling glacial lake, the Roopkund trek also comes with an element of intrigue. The remains of over 100 human skeletons can be seen around the edge of this lake. Experts only recently discovered that these skeletons belonged to a group of travellers who were overtaken by a violent hailstorm many centuries ago. Roopkund is a mysterious lake in the interiors of district Chamoli. The lake is rather shallow, with having a depth of only about 2 metres. The lake lies in a depression and is covered with snow for most parts of the year. When the snow melts, one can see human and equine skeleton remains. It is one of the most popular treks in Garhwal, thanks to these eerie views, as well as some really spectacular mountain landscape. IMPORTANT: A minimum group size of 3 pax is required to make a booking.